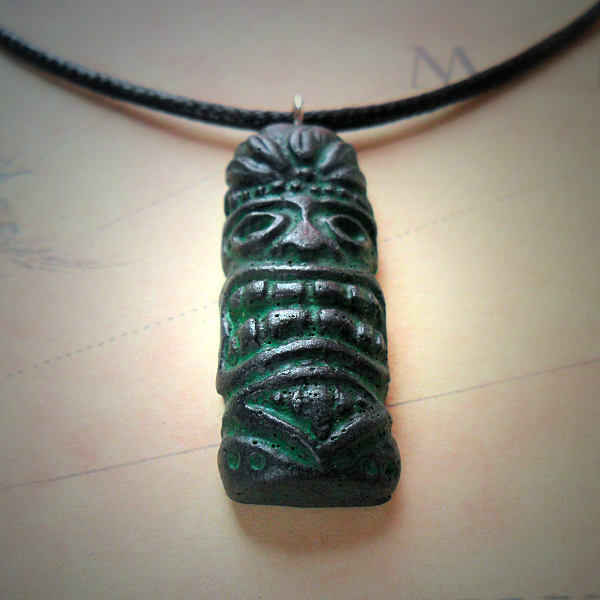 A handmade tiki mask pendant, cast in iron and resin with green patination. 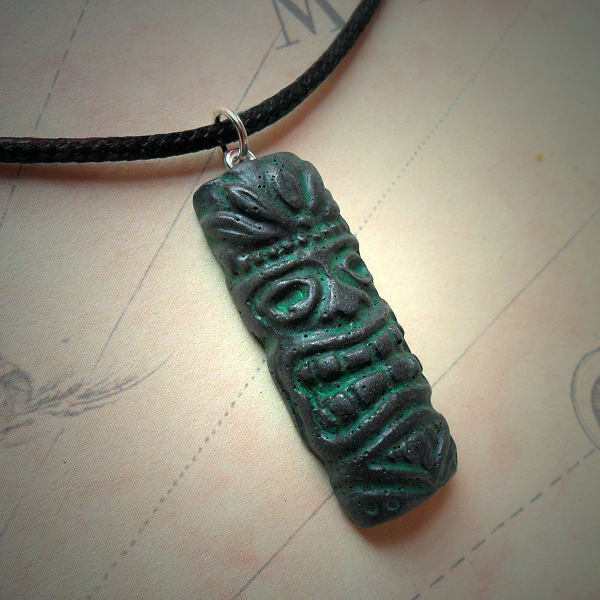 This hand made pendant is made from iron and resin, and is cast from my own original design. 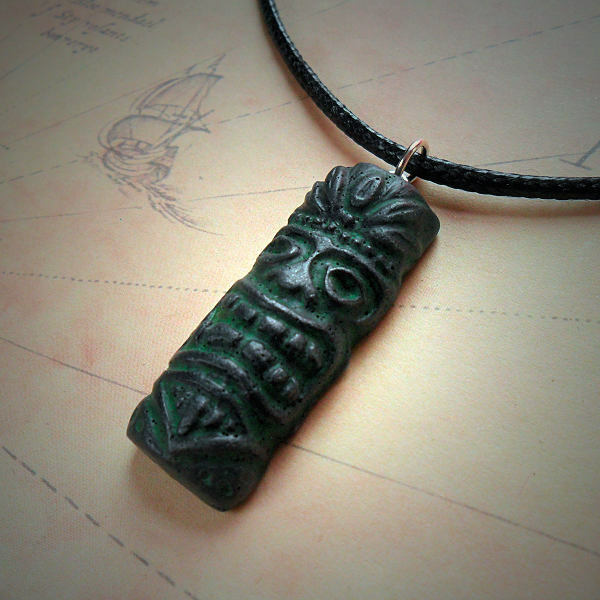 Available on black waxed cord with slipknots. 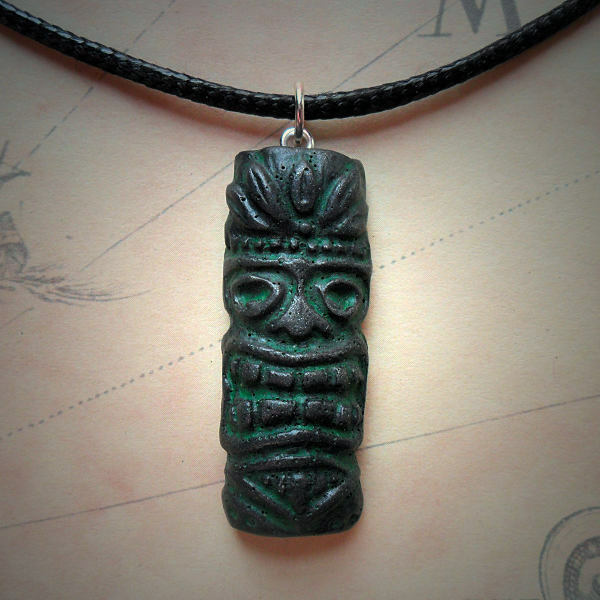 This iron and resin version is a one-off piece.